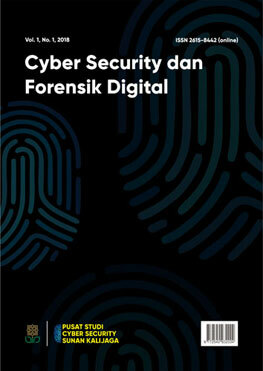 Cyber Security dan Forensik Digital (CSFD), published by Center of Cyber Security Sunan Kalijaga, Faculty of Science and Technology - UIN Sunan Kalijaga Yogyakarta. This journal published twice a year, May and November, in the fields of Cyber Security and Digital Forensics. You have to make sure that your paper is prepared using the Template format. The guidelines for submission via OJS can be found Here.